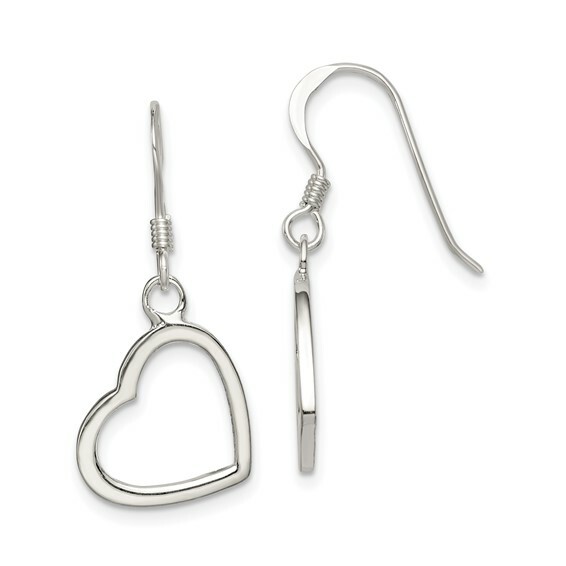 Sterling Silver Heart Dangle Earrings. Weight: 2.03 grams. Measures 1 1/8 inches tall. Heart is 1/2in wide. Import.